Melbourne Cup 2017: Who came first, who came last? The 2017 Melbourne Cup has been run and won, with Rekindling, riden by Corey Brown, taking victory in the race that stops the nation. The Joseph O’Brien-trained horse was behind Johannes Vermeer heading up the final straight but managed to kick around in the closing metres to take Australia’s richest horse race. 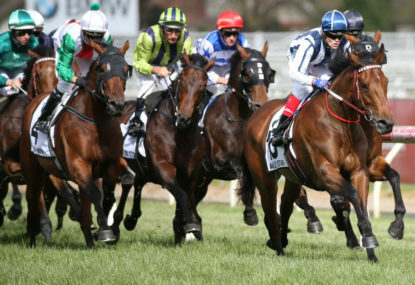 In the end, the result was just half a length with Brown leaving the run until the last possible minute to win Australia’s richest horse race. Meanwhile, at the back of the field, it was Gallante ridden by Michael Dee who finished in last position. For those of you who had Gallante in your sweep, well, you didn’t win – but hey, most sweeps will give you your money back for it. Gallante, who is trained by Robert Hickmott and came out of Barrier 18 was sitting in second place during the first half of the race, but seemed to hit the wall and run out of puff in a hurry. The Irish horse then went backwards, finishing in last place by most of the straight. Rated a $91 chance coming into the Cup, it was hardly a surprise to see Gallante finishing so far behind.